"Breathe easy" with BEAM, LCC. Your one-stop shop for any renovation or disaster need. We offer an array of services including bathroom, kitchen and basement remodeling. 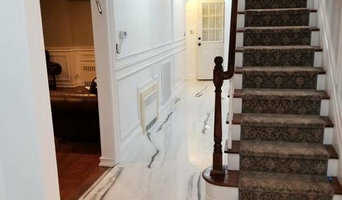 A family owned and operated business Tim White Remodeling has been serving Nassau and Suffolk counties for more than 15 years. During that time Tim White has developed a reputation for high quality work and attention to detail that is unmatched. 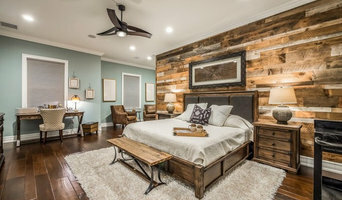 Tim White Remodeling has over 20 yrs experience to offer their customers, quality workmanship and a level of continuing growth that sets them apart from their competition. Remodeling services that we offer include Roofing, Siding, windows, Kitchens and baths, Dormers, Extensions, Sunrooms and Basement finishing systems. Our Company slogan is "Guaranteeing the homeowner's complete satisfaction." It's a phrase we live by. We are totally focused on whatever is necessary for our customers to be satisfied with our work. Tim White Remodeling has been serving Nassau & Suffolk counties for 15+ years. During that time Tim White has developed a reputation for high quality work and attention to detail that is unmatched. Heritage Contracting is a fully licensed and insured general contracting company, serving the Metro New York and Long Island area for more than 15 years! We are a design/build/consulting company for custom building and remodeling with a stellar reputation for integrity, quality craftsmanship and excellence in product delivery in a timely fashion. Hourglass Home Improvements has been providing quality home remodeling and home improvements to homeowners at affordable prices for over over 6 years. Our projects range anywhere from bathrooms & kitchens to smaller scale projects such as spackling, painting, & crown molding. We also do installations of ceramic tile and back splashes. There is no job too small- we provide repairs that range from hanging pictures, interior / exterior doors, kitchen faucet installation, and patching holes. We can install sheetrock and insulation for your home as well. We supply a service that focuses on all aspects of home improvements. We strive to provide the highest quality work that stands the test of time. Give us a call today, we would love to hear from you! Our company is built on honesty, integrity and pride. We build the most beautiful and functional spaces to fulfill our clients dreams and add value to their homes. Kentstruction is dedicated to providing the highest quality of craftsmanship and guaranteed satisfaction to each and every customer. 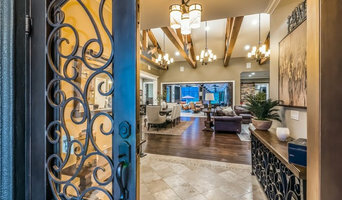 MP Construction is Colorado Springs premier custom home builder and General Contractor. We approach each project individually and believe that your new home is a reflection of yourself and your style. 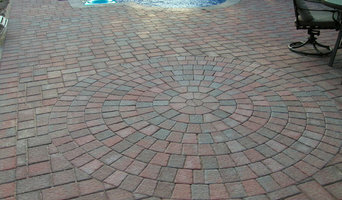 At Stone’s Construction Corp., we measure our success by the satisfaction of our customers. That’s why we put extra-effort and care into all of our construction projects. Heartwood Corp. specializes in residential and commercial construction & remodeling. Founded in 1971 we are celebrating over 40 years in business. We are one of New Yorks leading construction firms. PC&C is a construction company that prides itself on professionalism, craftsmanship and attention to detail. They are invested in sourcing the newest products available to their customers. Blue General Construction Home Improvement, Inc.
We take pride in our reputation which is built on our quality work and happy customers. We are known to pay exquisite attention to detail while making customer satisfaction our top priority! Phoenix Construction Solutions is a full service general contractor offering stress-free home remodeling and innovative custom building. DiCosimo General Contracting is a full-service remodeling and custom construction company serving the New York City. We specialize in high quality finished work and fine craftsmanship. Nassau County Award Winning General Contractor Best of Houzz 2017! For over 18 years we have served the Nassau & Suffolk Counties with a reputation for impeccable service & satisfaction. We invite you to discover the DG Difference, the difference that puts you first. If you're on the brink of a large home improvement project, remodel, or new build, you'll likely want to hire a general contractor in North Massapequa, NY. These professionals manage all aspects of the job to ensure it's completed on schedule and to your satisfaction. Whether you’re trying to find North Massapequa building contractors for a new construction, or home improvement contractors to spruce up your existing place, it’s important know exactly what role they will play in the project. Read more below for a list of must-ask questions. General, or construction contractors, are often known as project managers. They oversee the entire remodeling or new home construction project and facilitate all day-to-day tasks that move it toward completion. A North Massapequa general building contractor will work with your architect to review plan as you build a house and ensure everything is in place before work is started as well as arrange for permits and necessary inspections. While good local home improvement contractors in North Massapequa will have the skills to handle certain tasks onsite, such as carpentry, he or she is also responsible for hiring subcontractors for the majority of jobs, such as electrical work, painting or plumbing. In addition, the general contractor should be on-site regularly to inspect the progress and resolve issues. Here are some related professionals and vendors to complement the work of general contractors: Architects & Building Designers, Interior Designers & Decorators, Landscape Architects & Landscape Designers, Kitchen & Bath Designers, Specialty Contractors. Home remodeling contractors are a must for successful completion of a renovation. Because of this, it's essential that you do your homework before deciding on the right general contractor in North Massapequa as you remodel or build a house. Inspect bids carefully. Was it ready when the contractor promised it? Was the bid for building a home unusually high or low? Each of these things can be very telling: A late bid may reflect timing standards, and an off-the-mark bid could be code for a pricey premium or a deliberate underbid to score the remodeling job. You should call references, carefully read reviews and visit completed projects in North Massapequa, NY to see if they’re what you expect for your job. Once you do secure your local North Massapequa contractors, read the contract very carefully to be sure everyone is on the same page. Find a North Massapequa contractor on Houzz. Narrow your search in the Professionals section of the website to North Massapequa, NY home contractors. You can also search for photos in North Massapequa, NY and contact the North Massapequa general contractor who worked on the project.